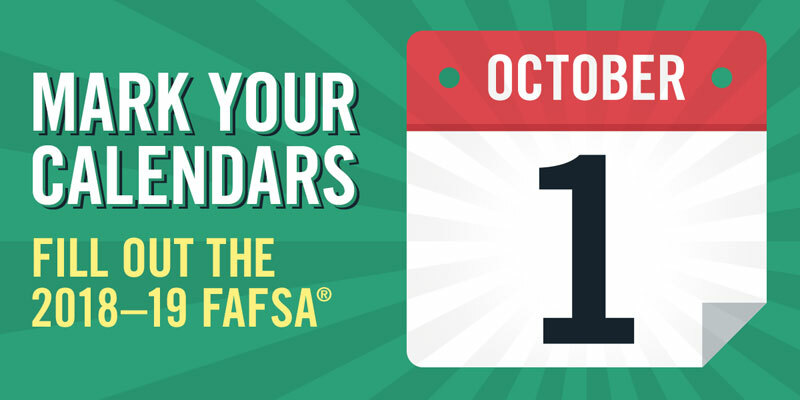 The Free Application for Federal Student Aid (FAFSA) opens for the 2018-19 School Year on Sunday, October 1! Your FAFSA is the key to receiving Financial Aid for college from Federal & State Governments, Private Sources, ICC Scholarships, and more. Many forms of aid are only available on a first come, first served basis – students are encouraged to file as early as possible to secure eligibility!